Click here to view the works schedule for Huntingdonshire from 1 – 15th February. In October last year Cambridgeshire Constabulary re-launched their website with added functionality to report non-emergencies via specially designed forms or a live webchat. The live webchat option enables people to communicate directly with a member of staff in the control room, just as would be the case when calling 101. Online forms are processed in the same way as a call and the person reporting can expect a response within 24 hours. To view the online reporting section of the constabulary’s website visit www.cambs.police.uk/report/. The live webchat function is available by clicking on the green icon on the bottom right of the page. To view the submission to HDC in relation to the proposed changes to the local plan can be found here. Any questions please speak to me or a member of your parish council. When will the road be closed? I live on Station Road/Rectory Road in Bluntisham how can I get access during the road closure? at the time, you may be escorted through the work to ensure both yours and our workforce’s safety. Please be advised if material has just been laid you may experience a wait. I don’t live in Bluntisham, where do I go when the road is closed? I have an important delivery arriving during the road closure hours, will they be allowed through? contractors will let them through when it is safe to do so. Will there be a lot of noise during these works? ensure the noisiest machinery is not being used after midnight, when possible. holes will be dug before work starts. My access is in poor condition, will you resurface it when you widen the footway? Will I be able to get out of my driveway when you are building the cycleway outside my house? What times will they be working during the day? Working on site will generally take place between 8:00am and 6:00pm. What times will the temporary traffic lights be in place each day? The draft minutes from the full council meeting held on Wednesday 3rd January are now available to view. Last few tables available. Get in quick for this great event. Doors open at 7pm, quiz starts at 7.30pm. Places limited so act fast to secure your team. In the summer of 2017 HDC, put out to consultation their proposed new Local Plan 2036 document. This plan lays out their proposed house building criteria for the next 20 years. effect on the character of the immediate locality and the settlement as a whole. Development Proposals on Land well-related to the Built-up Area. A proposal for development on land well-related to the built up area will be supported where it accords with the specific opportunities allowed for through other policies of this plan. In 2017 as you are probably aware a large new housing development was proposed on Colne Road and a planning application was submitted. Also in May 2017 another large scale application for 30 houses on Station Road was submitted on land that had been designated as suitable for rural exception, another application will be submitted for 20 houses at the top of Wood End, again on a rural exception site. However, under the auspices of the new Local Plan 2036 had Bluntisham remained a Small Settlement. Granting any large scale developments, that didn’t comply with the planning rules for rural exception sites and small settlements, would have proven difficult to gain permission under HDC’s planning guidelines. 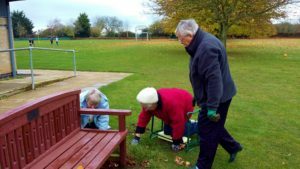 There are a number of large villages, outside of spatial planning areas, that offer a range of services and facilities to meet the daily needs of their residents and to some extent the residents of other villages nearby. The local service centres contain a lower level of service provision than the key service centres but all offer at least: primary school, public house, doctor’s surgery, convenience shop and a public hall. A proposal for development on a site which is additional to those allocated in this plan will be supported where it is located within a built-up area of a Local Service Centre. A proposal for development on land well-related to the built-up area may be supported where it accords with the specific opportunities allowed for through other policies of this plan. 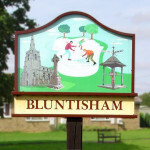 At no stage were Bluntisham Parish Council consulted or made aware of the proposed changes to the new Local Plan 2036. 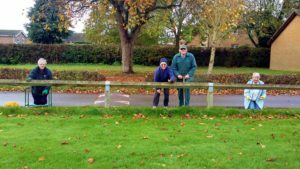 The first mention of this change was made by our two District Councillors during the Parish Council meeting on December 6th 2017. The new Local Plan 2036 was approved by HDC on December 13th 2017, including the proposed changes. Our District Councillors both opposed this change, however at the full council meeting in December 13th 2017 the District Council voted unanimously to approve this new Local Plan 2036 including the change to Bluntisham’s status to a local service centre. This plan has gone to the Secretary of State for Communities and Local Government to assess its “soundness” and to ultimately approve this new version of the Local Plan 2036. This in effect means that HDC have changed the planning guidelines for Bluntisham and potentially can approve all applications for large scale development within the village. The new plan earmarks us for an additional 179 houses in the next five years alone. Bluntisham Parish Council strongly opposes this change in status and feels that the justifications for the change are not sound and it will mean that our village, potentially, will become vastly over developed. The Parish Council recognises the need for affordable housing in the village and accepts that with that, comes the need to provide market houses at the same time. However the Parish Council believes that any such new developments need to be in line with the existing character and setting of the village and be of a scale in keeping with the guidelines set out for small settlements in the Local Plan 2036. A very small window of opportunity exists to comment on the soundness of this plan. This window closes on 22nd January 2018. Bluntisham Parish Council will be writing to HDC, our MP, other local MP’s, and directly to the Secretary of State for Communities and Local Government to make our opposition clear and request that our small settlement status be reinstated in the Local Plan 2036. We are writing to every household to ensure that they are aware of this change and the implications of it and ask that if you wish to send a duplicate of our letter in opposition yourselves or add yourself as a signatory to our letter then please let us know by contacting the Clerk or one of the Parish Councillors. More reading and other documents can be found here. Is it time to make a change in 2018? With each new year we get the chance to refresh our lives and think of making changes. Many ideas are started with good intentions and fall by the wayside. If you have thought about getting out more and socialising at a pace that suits you, well maybe pop along to the next WI meeting. There will be a speaker or demonstration that might appeal, some refreshments and a raffle. A whole night out for £4 as a visitor! Members pay a yearly subscription and have access to a wider circle of events, competitions and clubs, a monthly magazine and a 5 weekly National Magazine. Members get the opportunity once a year to attend the Burgess Hall for the Annual Federation Day where in the past we have had high profile speakers such as…Politician Ann Widecombe, Antiques Dealer Eric Knowles, Comedienne Jennifer Saunders, Writer and Psychologist Professor Tanya Byron and Radio 4 and Strictly’s Rev Richard Coles to name a few. In 2018 the Federation of Huntingdon and Peterborough, to which our WI belongs, will celebrate their Centenary Year so I’m looking forward to the Annual Federation Day and hoping for great things on offer throughout the year. The monthly meeting is regularly on the first Thursday of each month at 7.30pm at Colne Village Hall, which may make planning ahead and around your commitments to the family more feasible. I underestimated the value of putting myself first every once in a while …. until I discovered the WI…. I wish I’d done it earlier. It’s great to be learning new things and mixing with others over tea and cake. I enjoy getting out once a month into the fresh air for a leisurely walk and then rounding it off with a bit of lunch, meeting up with those who just ‘do’ lunch. I enjoy the competitive evenings pitting our wits against other WI s at a Federation Quiz or Jigsaw Race. In the past some of us have indulged in a Spa Day or been out to the Theatre, perhaps we may do this again in 2018.
weekend or weekday courses in hundreds of cookery, craft and other activities, all provided by qualified tutors and chefs. Each year the WI puts forward resolutions to improve things nationally; we get the chance to vote on what is put forward, and do something about it if we choose. …like SOS for Honeybees, that was a WI resolution. 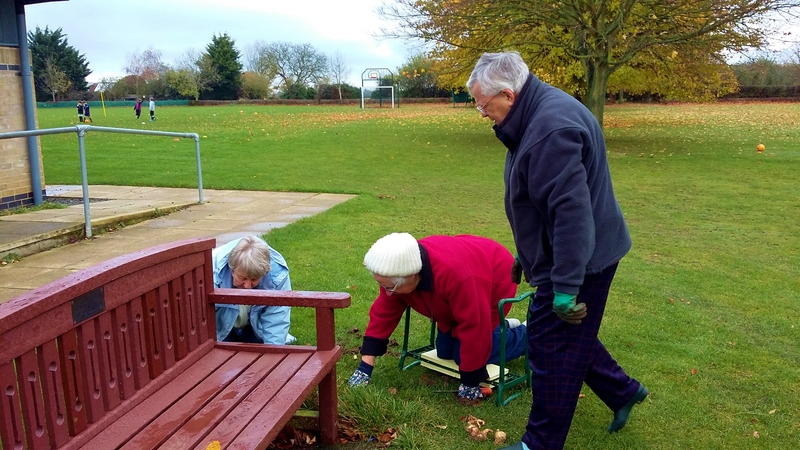 Members can do as little or as much as they want to. Some are happy just to attend the regular monthly meeting, others do much more. It’s up to you. It’s on your doorstep…..now it’s up to you. We meet at Colne Village Hall on the first Thursday of each month at 7.30pm unless it is an outing, garden party or group meeting. be held in March and October in Neeedingworth and Somersham. water…remember though that the meetings are just the tip of the iceberg……. maybe one you wish you’d tried earlier. further, the primroses at the Old Church Yard down Old Church Lane.